The most anticipated blog of the year has finally arrived. It's the blog most of you have had sleepless night's waiting on. Well the wait is over! Over a thousand fans log on to this 1st round blog every year to read our preview of each and every single individuals’ game and I'm sure this year will be no different. It doesn't matter if your Paddy Clarke, Benny Hoey or Nathan Crudden, anybody can beat anybody on their day. Every year we are treated to some massive shocks and no doubt this year will be no different. Defending Champion Paddy Clarke will be happy enough to get a Division 2 opponent but Aidan Griffin will be no pushover. Pat Brady lost out in last year’s epic final and he will be attempting to make it 3 finals in a row when he starts out against Matthew O'Brien. The tie of the round has to be Michael Feenan versus Stevie Teggart. Teggart is a former overall individuals’ winner while Feenan is one of the hottest prospects in the Premier Division. Ciaran O'Neill v Kieran McMahon, Garry Powell v Niall McVerry and Eugene McDermott v Shane McAllister are just some of the mouth-watering ties that stand out. There are many more and we will dissect every match. and there'll be no sitting on the fence here! If you haven't been producing the goods there's no hiding place here. Every player has been analysed in the most in-depth and researched blog in our history. Weeks have gone into this blog so put the feet up and enjoy! Johnny McMurray has won roughly 50% of his Division 2 league games. For a former top tier player, he won't be ecstatic about that but his TJ's B side are looking like finishing mid-table and McMurray is unlikely to be playing for many team trophies unless they get a good divisional cup run. McMurray likes to play a slow-paced game were covering pockets is common practice. He won't be fazed by playing a Premier Division player and will fancy his chances. Cathal Phelan is a Newry Pool League legend. He is the current Pairs champion and has won everything that local top tier pool has to offer. This has been a tough year for Phelan on the baize though. 4 wins from 11 league games is really disappointing for a player of his calibre. The former Correshego and CWC A star is the ultimate grinder. Even when not at his best he can beat anyone. Neither player will think they're playing at their peak. Expect games to be tactical but Phelan is a class above McMurray. Go to McMurray for your driving lessons but it's Phelan that will be doing the schooling this time and 2-0 should be the result here. Gavin Malone is suffering a torrid season just like his potential opponent Cathal Phelan. Malone with a paltry 4 wins from 11 games is relegation form. No doubt Malone would prefer his chances against McMurray but it’s more likely he'll be playing Phelan. This could be a scrappy game. Malone can only win this by keeping Phelan out of his potting rhythm. It should matter none. Cathal Phelan can mix it up with tactics or potting and should book his place in the 2nd round with another 2-0 victory. Brian Harte joined the St. Monnina party late but he has played a crucial part in the Saints' rise to the top of Division 1. He won his last 4 games in a row and inexplicably sat on the sub bench during that run so he may well have been 5 on the spin. Harte is a fine potter and is an intelligent player with patience to wait for the right opportunity. Adrian Larkin is one of the bright lights coming from a TJ's B side that look like they might be out of their depth in even in Division 2. Larkin started the season well had a bit of a blip but has won 3 of his last 4 games. He's certainly not the worst potter in Division 2 but his positional play let's him down along with shot selection. Adrian Larkin is a formidable opponent and will go into this game with confidence but Brian Harte is crushing a higher standard opponent week in week out. Harte should be too good but Larkin is going to be no easy game. 2-1 Harte is our prediction. James O'Hagan went through a bad spell before Christmas losing 4 of his 5 league games. His 6 wins are low for a former individual winner - only a few years ago. He is cool under pressure and has natural potting ability. If either of his opponents take the opening frame O'Hagan could start to feel the heat. He should be fit to beat either Harte or Larkin given the talents and experience at his disposal. Barry Murphy is having a good season in a bad Hustlers team. He won 5 of his 1st 6 games before a run of 3 defeats curtailed his dream of making our top scorers’ chart. He did manage to win his last game to bring his total league wins to 6. The talent has always been there for Murphy but he does blow hot and cold. He can take out a super finish but some poor decision making has lost him a lot of games. On his day though he is a game for anyone. Bernie Magee has won only 5 of his 11 league games which will no doubt be hurting him deeply. That's mid-table pool at best. 4 defeats in his last 5 is a worrying stat for Magee. The former Corrinshego legend is well maligned for his pernicious tactics. He is prepared to tie up balls and cover pockets from the 1st minute to the last. Barry Murphy is going into this with more momentum but I doubt Magee will be overly bothered about that. Magee will start favourite but If Murphy can get the opening frame, he can cause an upset. This will be close but Magee has more in his locker and a 2-1 win is likely. John Hogan suffered a nightmare start to the season. He lost 3, sat on the bench then lost his next 3. At long last he won his final 3 games before the festive break. With this upturn in form Hoggy will be itching to get going. He can pot a good single ball and has a bit of a safety game. He is unlikely to beat Murphy or Magee if either play well. John Hogan would need a lot to go his way to make round 2. It's an early bath for Hogan unfortunately. Aaron O'Callaghan started the season in superb form with 4 wins from the 4 he played. These include wins over St. Monnina and Ballyholland - the top 2 teams in the division. He's lost a few since but has been picking up wins too so he will feel he's playing quite well going into this prelim game. O'Callaghan as a very attacking player which can also be his achilles heel. When he's on form he's a devastating finisher. Brendan Devlin had a good run in the individuals last year but 5 wins and 6 defeats in the league suggest he's going to need a bit of luck if he's to get the same joy this season. Devlin is a good player to watch. He plays an attacking brand of pool which is easy on the eye. This could be a cracking match. Neither player will want to get involved in tactical battles. Devlin will start favourite but if O'Callaghan gets open tables to attack, he will clear. We'll go for Devlin 2-1 though. Nathan Crudden is one of the reasons TJ's C are enjoying a decent season. They have work to do but promotion should still be the aim and Crudden, just like most of his team mates will, have to step up a gear. He has won just over half his games which is good going but there's room for improvement. Crudden is a good single ball potter but his cue ball control is minimal. Nathan Crudden is punching way above his weight class against either Aaron O'Callaghan or Brendy Devlin. One would imagine Devlin will prevail from this table. Cricky McGuigan was signed up late by CWC B in an effort to bolster their squad but with only 2 wins so far, he's certainly not bolstered too much. McGuigan has suffered defeat after defeat and needs to hit the practice table any day soon. Ryan Diamond has sparkled the hand full of times he's played for Millvale. Without doubt the 3-point gap to Nifty Fifty would reduce by Millvale if Diamond played more often. He is a smart, patient player with bags of ability and loves to take out a spectacular finish. This should be rather one sided with Ryan Diamond easing through 2-0. Brian O'Neill has been playing for Whitecross for a long time but never has he been so productive on the baize. He's like a new player. Winning 5 and only losing twice has rocketed Whitecross up the table after a bad start. O'Neill has improved his potting big time and isn't the easy touch of yesteryear. If Diamond sees off McGuigan then he will certainly give O'Neill a stiff test. O'Neill's new-found confidence and also his improved potting to go along with experience could be the difference. 2-1 O'Neill. Tom McGuinness got his season off to a cracking start winning his 1st 4 games for high flying St. Monnina A. He fell off the rails for a month or two but he's back on track with a couple of wins in December. McGuinness is slow a precise. Once he gets in the groove, he is well fit to take out a tricky finish. Brendan McAllister got off to a decent start winning 3 of his 1st 4. McAllister Snr fell into a rut and a string of defeats has stalled his season. Nifty Fifty might be flying but Brendan McAllister needs to find that winning formula soon. He just like McGuinness likes to take his time and will try to win the tactical battles to succeed. This could easily go to respotted blacks and most likely it will need to if Brendan McAllister is to win. Tom McGuinness is playing the better pool atm and in close unexciting frames the St. Monnina man should get through 2-1. Jamie McManus has had a terrific season so far with TJ's C. This team moved from the Cue Club away from the mini league to play with the big boys and they've worked themselves into a decent position to push for promotion. McManus is one of the reasons their doing so well. He is a prolific winner. He has big wins against Millvale, McSwiggans and St Monnina B as well as a host of the lower teams. McManus has a great cue action and is a deadly long potter. He's taking out top finishes in Division 2. Billy O'Neill had no opponent in the opening game of the season so received a win. He incredibly lost 6 in a row before finishing with 3 wins out of 4 before the break. Its a timely return to form for O'Neill and he'll be hoping the festive break doesn't interrupt his rhythm. He is good when in amongst the balls but his long potting is suspect. Jamie McManus needs to get off to a good start and he could just rattle Billy O'Neill. The odds are stacked against him as O'Neill is a solid Premier Division player. 2-1 Billy O'Neill. Giby VETTIANKAL (Ballyholland) v Diarmuid LONERGAN (Bears) Giby Vettiankal has been with Ballyholland since they worked they're way from the old Division 4 right to the top Division. Giby Vettiankal is just what the Doctor ordered. His sheer brilliance has fired Ballyholland to joint top of Division 1. 7 wins and 2 defeats from 10 games (he didn't play against Windmill) is phenomenal scoring. It should be no surprise 1 of Ballyhollands' 2 defeats came in that game against the Windmill when Vettiankal wasn't there. He also won his pairs and Singles game against Premier Division Bears in a cup match. The Doc won't rush his shots that's for sure. He has an incredible desire to win and he will cover pockets and frustrate opponents when needed. He's tidy in among the balls too and rarely makes silly mistakes. Diarmuid Lonergan is having a mixed bag with Bears. He's only played 7 of the 11 league games for Bears and has won 4. He is a solid percentages player. Hates playing a risky shot. He is knowledgable round the table and knows his way round a tricky finish. This game bares all the hallmarks of a 3 frame titanic tactical battle. Neither player will give an inch but Giby Vettiankal is playing and winning more regularly and might just cause an upset here. 2-1 Vettiankal. Patrick Quinn is on a one man crusade to fire Johnny Murphy's up into promised land of the Premier Division. Of the 10 league matches Johnny Murphy's have played we in the blog office have 9 result cards. Quinn has won against Forester's A, St. MONNINA A, Bosco, Trainor's B, Cavern, Ballyholland, Glenn, CWC B and Windmill. That's 9 wins from 9 games. The painter could have re-decorated the Murphy's history books by becoming the 1st player in their history to win all their league games in the 1st half of the season. The only card we have missing is the game against Bar 7 Warrenpoint. If any one has kept a record of the wins or scorecards from that game we would be delighted to see who won on the night. Nonetheless 9 from 9 or 10 is simply outrageous. He plays a patient game and he won't rush into a finish. He's obviously going to be brimming with confidence and will fancy causing an upset. Patrick Quinn may well have a 100% league record in Division 1 but both Vettiankal and Lonergan should be too strong for him. Vettiankal is our tip to progress from this table. Mark Trainor is a useful addition to the Trainor's squad. He had a decent start to the season with 2 wins and 2 defeats. He missed large portions of the season but finished off well before the Christmas break. It takes Trainor a while to get into a game. His game improves the longer the frame goes on and he doesn't fear a big finish. Darren Devlin is a stunning potter. He's been in typical hot form all season. Only a couple of defeats mid and early in the season but he's looking ominously good atm. Devlin will develop balls and won't hold back on going for a big finish. It's hard to see Devlin not going through on a 2-0 scoreline. Terry McNally has 4 wins from his last 5 league games from before the Christmas break. He is a decent potter and Needless to say that playing for Pat Brady means you have a sound knowledge of the safety aspect of the game. McNally would breeze past Trainor but Darren Devlin is a different ball game. Had the game been nuetral venue Devlin might have got the nod but because the game is on McNally's home table we'll give him the edge. Niall McQuillan is among the top scorers in Division 1 with 7 wins and 3 defeats from 10. He started well with 3 wins, picked up a couple of defeats but went on a run of 4 before losing out in that disappointing loss to Forester's A. McQuillan is an exciting player who just loves attacking pool. Super long potter and who could forget it was McQuillan that ended Pat Brady's unbeaten run last season in the penultimate league game of the season. Andrew Mackin started the season with a defeat but he went on a good run after that before hitting a dreadful run of form in November and December were he couldn't buy a win. Mackin try's to frustrate opponents by covering pockets but he isn't a bad potter. It's a negative here for Andrew Mackin and the result will need to be photo-shopped to prevent a 2-0 win for Niall McQuillan. Harvey Lavelle had a slow start the season when he lost his 1st league games then missed the 3rd game before going on 7 game winning streak. He did miss the penultimate game before the break but he has won both games against fierce title rivals Trainor's A. Lavelle is deadly in amongst the balls and a tactical game only a very few can compete with. If McQuillan gets through to face Lavelle it could be a fantastic battle of two players right bang in form. Harvey Lavelle has a strong all round game and his superior knowledge should give him the edge 2-1. Jamie Heaney may well have many great talents but I'm quietly confident pool isn't one of them. If your looking a trendy hair cut, yes surely give young Heaney a call. If your looking a long black down the rail at 4-4 to win the Cunningham Cup then block Heaney's number. Admittedly we don't have all the cards for TJ's C at our disposal but apart from a win early in the season against McSwiggans there is little else to get excited about. Defeat after defeat was the norm until finally the axe fell on the last match before the break. Ralph Crummy has a decent 6 league wins and only 3 defeats up to the Christmas break. He's won 3 out of his last 4 and looks in good form. Crummy is a hard player to beat. He's tactically astute, a fine potter and knows the right shots to play. Not sure about that beard though! Ralph Crummy to sail on through 2-0. Shane Durnin is a flying machine round the table and his pace seems to suit him as he is enjoying an excellent campaign as captain of TJ's C. Mr consistent only has a handful of defeats spread over the 1st half of the season shows he's cueing well. Wins against rivals TJ's B and promotion hopefuls Millvale shows he's a big game player. Kevin Magee put in a brilliant 1st half of a season to top score for Hustlers with 7 wins from 11. Magee is ice cool under pressure and the big talker is also the big walker. He is a top potter and when in amongst the balls the Hustlers captain makes a difficult finish look ridiculously easy. This could be a high quality game but Kevin Magee is rolling back the years with some terrific pool and his experience will see him through 2-0. 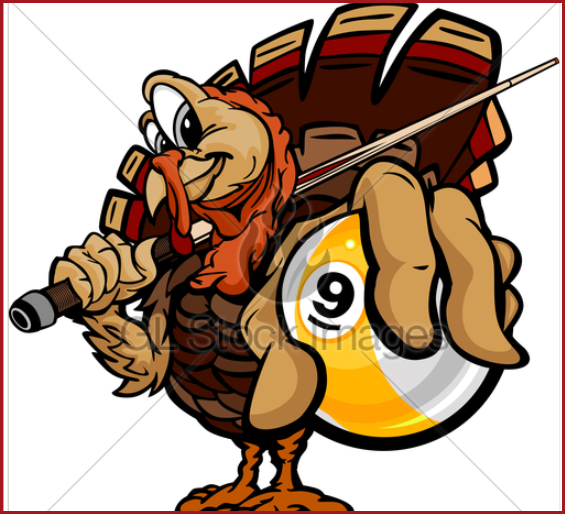 We have no card with Sean Pentony lifting a cue? Complete mystery. He definitely hadn't played for Nifty Fifty. The winner of Durnin/Magee will probably be through. Paul McAreavey enjoyed 3 wins at the start of the season but has been to going through an abysmal run since then, picking up 5 league defeats in a row and a few nights sitting on the subs bench for good measure. McAreavey is no bad player and is getting a bad run of the ball. He will surely turn the corner soon. Martin White is having an outstanding season for Johnny Murphy's. He's on a 4 game winning streak. He lost against Trainors B but apart from that he's won all his other games that we have scorecards for. White can play a good cagey game and doesn't rush into going for a big finish. He's calm under pressure a certainly a force to be reckoned with. Paul McAreavey is in for a tough night here but we give him the nod 2-1. Killian McDonald is the real deal and he should be plying his trade in the Premier Division. It could be with Millvale as he spearheads an exciting young team vying for promotion. From the 8 scorecards available to us he has 6 wins, just the 1 defeat and didn't play in 1 game. He is in hot form lately and should fear nobody. McDonald is a cracking potter and takes out some terrific finishes. Kieran Cummins only has a handful of wins for Bosco. It's just been one of those seasons so far for him. He did have a good win against Windmill 2 games before the break but wins have been like hens teeth. Cummins plays a slow tactical game and the relatively new cushion rule isn't suiting his game. Killian McDonald might be a Division lower but he's a class act and we predict 2-0 McDonald. Ryan Gray has an almost identical record to his team mate and captain Shane Durnin. Gray has only a couple of defeats while winning has become a habit for the former Cue Club player. Gray is a bit slower round the table than Durnin but no less deadly. Gray is capable of winning those scrappy frames as well as taking a good finish. Joe Magill started his Hustlers career with a win but 4 defeats in a row have been costing his team points and denting Joey's confidence. He is a decent potter but his choice of shot can sometimes leave onlookers scratching their head. Can Joey Magill ressurect his season? Ryan Gray is full of confidence and jumping two Divisions but we reckon Gray can cause an upset here 2-1. Seamus Graham began with 2 wins and 2 defeats before sitting out the next 3 games. The Trainor's cueist came out of retirement this season ended December with a defeat, then a win and finally he didn't play against CWC. Its not been all plain sailing for Graham since his return to the baize. He is a very attacking player and its hard to change a player that wants to finish every visit even when there is no finish on. Tony McGovern made it onto our top scorers list which we published on Christmas day. You read it on Destination Newry. McGovern won his 1st 7 games before finally losing against McGuigan's. He has been taking out some serious finishes this season. His 3 defeats will be disappointing that they all came in the final 4 games before the break. How will this effect his confidence? If Tony McGovern hits form he should take this but certainly Seamus Graham is a tricky opponent. 2-1 McGovern. The Baby Faced Assassin Neil Heaney has been largely firing blanks this season. His 3 wins have even been eclipsed by his Dad Eddie who has 4 league wins. His 7 defeats are a real shock as its usually Neil Heaney that is right up there with Bears' top scorers. Neil is usually a smart player with excellent cue ball control. He's well fit to take out a tricky finish. Colm McCann would be one of the better players in Division 2. He's missed an awful lot of Millvale matches this season but when he's been there he nearly always wins. A defeat against Port then he didn't play in the last game before the break but before that he had a string of good wins including one against league leaders Nifty Fifty. Colly is a fantastic potting machine and knows the order to make a finish look easy. With Neil Heaney badly out of form it's a great opportunity for Colly McCann to progress. 2-1 McCann. Kevin Lennon is having a dream season and may yet help guide Bar 7 to the Premier Division. He's having a stunning season with the Warrenpoint side winning 85% of his games. He has notable wins over Premier Division Martin Conroy who made it onto our top scorer chart. He was part of the Pairs team that beat Kieran McMahon and Micky Cunningham in the Vegas Cup. Lennon is a brilliant potter but has a safety game that would be the envy of many in the Premier Division. Gareth McCann has had an absolute nightmare of a season. He won his opening match and 3 games later won his 2nd which would turn out to be his last win in 2018. 6 defeats and plenty of appearances on the subs bench have been common practice for McCann. He isn't the worst potter but his shot selection is terrible. It's hard to see Gareth McCann taking this one and our tip is for Kevin Lennon to book his 2nd round spot 2-1. Paddy Clarke needn't take Griffin for granted but this should be 2-0 Clarke. Henry NcLoughlin has a 60% win rate which he won't be too unhappy about. His best performance coming against league leaders Nifty Fifty when he put his McSwiggan's side 1-0 up away from home. McLoughlin has bags of experience and doesn't get fazed no matter what unfolds on the baize. A decent potter but prone to the odd silly mistake. Mervyn Kernaghan looks to have overcome his dreadful start when he finished up before the break with with 3 league wins from the final 4 games. They are his only league wins after 4 early season defeats and a few nights viewing from the high stool. Kernaghan is tricky opponent. He's can be a slow starter before clicking into gear and clearing up. He's strong tactically. This could be a very tactical match although the tables in TJ's are made for fast attacking pool. Mervyn Kernaghan should edge this 2-1 but it sure won't be easy. Could this be the tie of the round? They are both top players but this game is intriguing in so many different ways. Feenan has only joined to top table this season and the big question is can he stay there! Teggart has dropped out of Newry's top tier pool for Division 1 so how might that affect his game? There is also the drastic contrast in styles. Feenan is all out attack and some times this is to his detriment. Teggart is more mythodical and tactical. Sometimes he can be ultra negative and this can be his downfall. Michael Feenan has 8 wins from 10 games before the Christmas break and some of his scintillating performances haven't gone unnoticed. He's always talked the talk and now he's walking the walk with some outrageous pool. He attacks from the off and is always looking to develop difficult balls and looking a quick finish. Stevie Teggart didn't play the first month and a half of the season but he was lured back by his old Killeavy team mates to new pastures of St. Monnina. Teggart has got a bit of a shock at the high standard of some players in Division 1. Former South Armagh player Kieran Loughran was the 1st player to beat Teggart this season and ironically he plays a mythodical and tactical game. From the cards we have available this is his only defeat and has at least 3 wins. As said earlier Teggart plays a so game and thinks through every shot to the last detail. He is a stunning single ball potter and on his day can and has beat the very best. So who will win this titanic match-up. Teggart is an Armagh player now but at the same time Feenan would walk onto the Armagh team. The fast potting tables in TJ's will suit Feenan. He simply must not miss those big finishes or Stevie Teggart will punish. Its that simple. We think Michael Feenan will just about take this 2-1. Eugene McDermott hasn't hit the heights of his glory days. He won 2 out of his 1st 3 then went on a barron run of 4 defeats in a row. He gathered himself to win 3 from the next 4. McDermott is so crucial to the fortunes of Bears that they have won only 1 single point when he has lost. Its no surprise with his snooker background that he is a tremdous long potter. He is prone to the odd miss these days. Has both attacking and tactical game. Shane McAllister has shown flashes of his brilliance but it hasn't been vintage pool from the Hustlers talisman. He has 6 league wins up to the Christmas break. Around October he lost 3 out of 4 games but got his confidence back winning 3 out of the next 4. McAllister is a master in a tactical exchange. This was always his forte. In recent seasons his been deadly in among the balls and is one of the toughest players to beat on the Newry pool curcuit. This is a toss of a coin to pick a winner. These TJ's tables are very familiar to Eugene McDermott and he has many great memories on them. Shane McAllister will not fear the fast tables as they are more like Hustlers. Tough call but Shane McAllister could edge it 2-1 in a classic. Benny, Benny, Benny what's happening to you? Benny Hoey is captain of Millvale but it must be his inspirational team talks that has him captain because it sure isn't his on the baize performances. We've only records for 2 league wins and a string of defeats. He did miss one or two games but Benny Hoey will need a huge improvement he's going to lift the Singles title. Hmmmm! Gareth Treanor signed for table topping Nifty Fifty a bit late. Of the 9 cards we have for Nifty Treanor has 2 defeats and 3 wins. Treanor is a good solid player. He sometimes plays 1st so he is confident to take on the best. Both play in Division 2 for promotion chasing sides but Gareth Treanor is in better form than Benny Hoey and should win 2-0. Sesmus McVerry has been outstanding this season. 8 wins and only 2 defeats is title winning pool. He is a brilliant attacking player and has a good tactical brain. He is a former individual champion and he will expect a good run this year again. Emmett McParland has been having a tough time of it for struggling CWC B. He's lost has last 3 before the festive break. He did win 2 in a row. The most notable over Bar 7 Duke Street. 3 wins all season and the odd spell on the bench is disappointing. Seamus McVerry will feel this is a plumb draw for himself and 2-0 should be the scoreline. Damien McArdle switched from the Premier Division to Division 2 and it hasn't exactly been all plain sailing for him. He has 4 defeats and 5 wins from the 9 scorecards we have. Diddles McArdle will blame the tables, the venue and the weather before he blames himself. He is a tremendous potter but his is very erratic and has no idea where the cue ball is going. Rony O'Reilly was going through a bad spell in December. He last 2 then sat out the last 2 before the break. He started well by winning his 1st 3 league games. He lost 2 in a row but bounced back to win the next 2. O'Relliy can be a excellent potter but sometimes he loses the white which costs him dear. This is a really close call. These two like to attack and play exciting pool. O'Reilly could just have the edge but it's just a run of the ball. 2-1. John Little started his season well with 2 wins then went on a dreadful run of results. He won his last 2 games although sandwiched in-between he missed the Indo game. His biggest win coming against Millvale. John Little plays some odd shots but he's quite good when the shots a straight forward middle of the white shots. Anthony Reynolds has won 5 of his last 6 games although we are minus a Murphy's result card so it could be 6 from 7 or 5 from 7. Reynolds has a snooker background is his long pots are a delight to watch. He loves playing attacking pool but he is a no dozer in the tactical side either. John Little is no bad player but it's not going well for him this season and Anthony Reynolds should win this 2-1 especially as its being played on his home table. PJ McDaniel has played very little for Orchard this season. He has collected just 3 wins from 5 games. McDaniel is a good solid player and avoids going for big spectacular shots. Bit of a percentage player. Denvor Jenkins has been an ever present for Hustlers. 2 wins and 9 defeats is gut wrenching results. Twice he went 4 games in a row with losses. He is a better player than his scoring suggests but nerves get the better of him when closing in on frame ball. If PJ McDaniel can get the form back from the last few seasons he will go through 2-0. Anthony Ryan missed the start of TJ's B's season and came in all guns blazing with 3 wins but he lost has last 2 before the festive break. Ryan is a decent player. Will take on tricky finishes but needs to work on tactics. William Hughes has had a brilliant Season with Millvale. He won his 1st 2 league games and finished at the break with 4 wins from 5 games. There's 2 cards absent but it's clear Hughes is in top form and cueing well. Willy Hughes is clearly very much at home in Division 2 and he is playing much better than Ryan. Hughes to progress 2-0. Jay Kelly lost his final game before the Christmas break but he had won the 2 previous. He had 2 wins early in the season and has around a 50% win rate. Kelly certainly enjoyed life better in Division 2 and the way his Glenn team are going he'll be back there soon enough. Andrew 'the sub' Connolly has been happy enough with a season on the subs bench for one reason or another. One must assume he's no genius or he would play the odd time. Jay Kelly isn't having a dream season in Division 1 but maybe he got a dream draw here. Drew Connolly might opt for a seat on the bench so we'll go 2-0 Kelly. Brendan McNally Brendan McNally has played very little pool for Trainor's B but he did win his final game before the break against Cavern. Before that he had a couple of sub appearances and 1 defeat. Jamie Fletcher has been a breath of fresh air to the Premier Division this season. His attacking style has won him 7 games and 2 of his 3 defeats came in the final 2 games before the break. He will hope his good form returns asap. This is a no brainer. Fletcher will cruise this 2-0. Mickey O'Hanlon had a 1st of the season to forget. 7 league defeats will hurt O'Hanlon and his 2 league wins don't show how important his used to be for Whitecross. He does play slow unattractive pool and the new rules haven't suited him. Chris O'Hare had a decent start to the season before before he missed a couple of games. He came back in to lose 2 games but he ended with a win against Bosco. O' Hare is a steady player and won't make too many mistakes. Mickey O'Hanlon should have enough in his locker to win 2-1 especially on his own table. Eddie McCaughey has missed large chunks of the season for table topping Trainor's A. He has won his last 3 before the festive break. His only other win was an 8 ball clearance on the opening round of league games. He has 2 defeats. He plays a bit of snooker and the Keady native is an ultra attacking player looking to finish every visit. Paddy McCann has been a regular with promotion chasing St. Monnina A. McCann went on a bad spell losing 3 in October. He has at least 5 league wins (1 scorecard unavailable). McCann is a slow starter but when in the flow he can play. Eddie McCaughey will see this one through but McCann could make a good game of it. 2-0 McCaughey. Pat Byrne reminds me of the Forrest Gump quote "life is like a box of chocolates, you never know what your gonna get." Byrne will go for everything, that we do know. He is the Tony Drago of Newry pool. It's whether he can hit form or not that will be decisive. He has won his last 3 before the break but you have to go back to the 2nd and 3rd league games for further wins. 4 defeats isn't bad though. Mike Nugent has had a disjointed season so far. He didn't play in at least 3 games and lost at least 3. He has 3 wins from the 9 scorecards we have. Nugent isn't the potter he once was and he always had a strange shot selection. Tommy Mooney isn't having the wonderful season he dreamt at the start of the season. He turned down a go at the Premier Division with Trainor's B and judging by some of his results it was a good decision. He lost at least 3 games and they were against Glenn, No. 7 and CWC B. Only No. 7 are going well. Mooney is a fine potter and a great tactical game. Jim McMahon has played a major part in Ballyholland rising to joint top of Division 1. He has a brilliant 7 wins and only 2 defeats. One night on the subs bench was a strange decision by their captain. McMahon is solid as granite. He is a cagey player and will wait before finishing with style. Tommy Mooney will know he was in a tough game but his quality will get him through 2-0. Cailim McParland won 5 and lost 4 of the 10 league games before the break. The other game we have no idea. Being honest McParland's shot selection is terrible but he's improving all the time and with his potting getting better I think he could be a talent in future years. Niall Rice came to the Christmas break on the back of a couple of defeats. He's won at least 5 games and has some tough opponents. He is a good clean cueist and plays very little safety. This is going to be a scrappy encounter. McParland is playing at a higher level but maybe not for much longer. McParland might take this 2-1. Sean Murray has 3 wins and 2 defeats for Premier Division leaders Trainor's. Ironically both defeats came against CWC A. He is a good clean hitter of the ball. Will attack playing cannons and is very proactive to get the job down early. Darren O'Hanlon is a talented player. We've seen him do well in previous scoring charts. He has 5 wins form the 8 cards we have to hand so it's possible he has won more. O'Hanlon is clinical when he gets in the groove. He has a good cue action and knows how to mop up a tricky finish. Very attacking. Both these players like to attack a game. This really could go either way but Sean Murray seem to have that touch of class about him. 2-1 Murray. Matthew O'Brien got the rough end of the stick when this draw came out. O'Brien won 3 out of the last 4 games from the cards we have although cards missing but we know he has won very little since then. He had a notable win against Nifty Fifty though. Pat Brady has played in the last 2 finals of the Newry individuals. He will start as one of the favourites as usual and his form this season is ominous. He won his last 7 in a row before the break and has a total of 9 wins and 2 defeats. Brady has the whole package. Brilliant potter, positional play, tactical etc etc. Pat Brady oozes quality and only the shock of the 1st round will prevent a 2-0 win for Brady. Ciaran O'Neill went into the Christmas break on the back of 4 league defeats on the spin. Before that he had 5 wins and 2 other losses. 6 defeats in total is poor for the talented O'Neill. He's lost both of his games against CWC. O'Neill can take out stunning finishes when he's on form and can beat anybody on his day. Kieran McMahon has had all the superlatives written about him already. He's hoping to make it to his 2nd final in 3 years. The 'Machine' McMahon jointly topped the scoring charts with 9 wins from 11 games. He started with a break finish and then fired in wins in his 1st 8 games. 2 losses in a row were halted with a win just before the festive break. McMahon doesn't fancy the negative pool. Always freeing up balls and precision potting with surgical positional play. If Kieran McMahon has an off day Ciaran O'Neill will punish in this all Premier Division tie. It will be a huge surprise if McMahon doesn't win, probably 2-0. John Daly could be the difference in promotion or no promotion for Murphy's if he can up his game. From the 8 cards he has only won 1 of his last 4 before the break. He did have a better 1st 1/4 to the season. He is a smart player with good shot selection. He is a far better player than his results suggest. Declan Magee has only been a bit part player this season. He lost a couple and we had to had to go way back to a game against TJ's C near the start of the season for a win. This could be a good game for John Daly to get his individuals up and running. 2-0 maybe. Robbie Loughran had an amazing run to the 1/4 finals last year and would love another run this season. 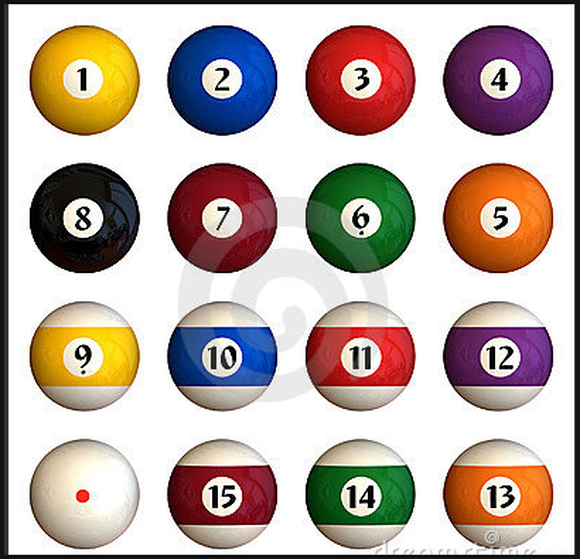 Although we are missing a scorecard for Nifty Fifty, from the 9 we have is a clear pattern. After winning his opening 2 he has lost, won, lost, won, lost, won and finally lost before the holidays. So the next one is a win the Robbie? Turns out he did win the 1st game after the break so hard luck in your next league game Rob. Loughran is a fine potter and is no stranger to getting a snooker. Colm Shields would have to be described as Mr consistency. 6 wins and 4 defeats is good. Its not fantastic but that sort of consistency gets teams promoted. Shields likes to play percentages pool and won't take unnecessary risks. This is a tough one to call. Both players will feel confident. Maybe Robbie Loughran having that good run last season will spur him on to a 2-1 win. Jimmy McVerry has played 6 of Trainor's 11 before the break. He has won half of them. After long spells out he played the last 3 before the break, winning 2. He is a thinker and will take his time over every shot. He is deceptively good and shouldn't be underestimated. Leigh McAlinden can blow hot and cold. He won his last 3 before the break but of the previous 6 he's played he only managed a single win. McAlinden loves going for game at the earliest opportunity. Sometimes it works, sometimes it doesn't. If you give him a chances he's going for it. A tactical game will suit Jimmy McVerry. An open game will suit Leigh McAlinden. This is a tough call but Bellinis table is generous to the potter and McAlinden should squeeze through 2-1. Gerard Bagnall is one of the new kids on the Premier Division block. He's found the going tough since his move from Glenn. Just 2 wins and 4 defeats is the most he's got from his league campaign. He will be hoping for a better 2019. He's a sharp potter but you need more than that in the Premier. Adrian Murphy has barely lifted a cue this season. And the few times he has done he got beaten. Has he fell out of love the game that has won him so many titles in Newry Pool? Can he resurrect his crumbling pool career? This could be a good time to play Adrian Murphy. Gerard Bagnal is playing poor enough himself but he could cause a bit of a shock and win 2-1. Seamus McGeoghegan doesn't have the best record this season. He's only won 4 and he's amassed 6 defeats. 3 of those losses coming in the final 3 games before the festive break. McGeoghegan is a super tactician. Very few want to get involved in that department with him. He has nerves of steal but he's started missing balls this season that he wouldn't normally miss. Michael Campbell has lost 3 of his last 4 league games and after a decent middle part of the 1st half of tbr season. His 5 defeats are keeping his TJ's B away from a good promotion challenge. Too many missed pots is a concern but on his day is capable of a win. Seamus McGeoghegan will win hook or by crook 2-0. Gary Cowan is having a bit of a disaster. He lost 6 out of the 9 games we have cards for. The TJ's B cuesist badly needs to up his game. The 3 wins he has is dreadful. Cowan can't help but go for a pot when he should be 'hooking' or 'hooking' when he should be potting. Mark Maguire will be glad to see the back of this season. He's been in and out of the Nan's team and with only 1 single league win from the 8 he's played is the stuff nightmares were made from. Maguire got away with bad mistakes last season in Division 1 but it's a different story in the Premier Division. Mark Maguire should get a win here 2-0 but both players are struggling this season so far. Raymond McKenna has 6 wins and only 2 defeats from the 8 games he's contested. Who could forget the fantastic final when he got eclipsed by James O'Hagan. McKenna got no run of the ball that night and he will be looking to get a good run this season like he normally does. McKenna is playing in lots of different pool comps and always is calm and cueing well. He is a great potter but he often loses the cue ball. Tommy went the whole 1st half of the season unbeaten last year but its a whole different ball game up in Division 1. Still though he's played 10 and won 5 and for a newly promoted player that's fairly good. Rooney is like a Python in the grass waiting for its prey. One wrong move and he pounces with great venom. Super cueiest and horrible to play against. Raymond is just too good here so 2-0 I'm afraid. Luke Phelan won't be overly delighted with his win ratio so far this season. Of the 9 cards we have he has 3 wins and 6 defeats. He could do better but there doesn't seem to be that drive for promotion in Trainor's B. Phelan wouldn't be a Phelan if he didn't like a good tactical battle. His best pool is in amongst the balls but the new rule set is taking a whole for him to get used to. Conor Heaney didn't play the 1st couple of games for Windmill. He seems to save his best pool for the teams higher up the league. Wins against Ballyholland and No. 7 Warrenpoint tell us he can play abit he's lost against most of the lower teams. Luke Phelan will get well tested here but he could edge the tactical battles to win 2-1. Paddy Tavey won 6 in a row before he lost the last game before the break. He has a total of 8 wins and 3 defeats for the league leaders. Tavey is up there with the best but he needs a run to the final to be mentioned in the same breath as Kieran McMahon and Pat Brady. 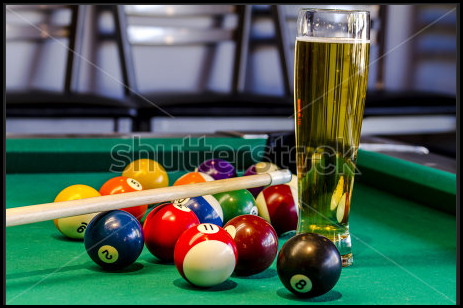 He game is based on attacking pool but he does have the tactical game to fall back on. Brendan McVerry started the season badly with 1 win in his 1st 4 games. We have cards missing but from what we have the are plenty of defeats for McVerry. He did win up in Ballyholland and has at least 2 other wins. Paddy Tavey is red hot favourite and there's little doubt he will feature in our 2nd round preview - sport Brendan. 2-0 Tavey. Conor McQuiad is captain fantastic for his joint table topping St. Monnina. He's been playing well but he dropped himself after he won to keep the harmony in the ranks and this team leadership is what it takes to be a successful team. From the 9 scorecards he has won 5, lost 3 and subbed himself once. McQuiad was schooled by a certain Pat Brady so you know he likes a good tactical game. He has no problem covering pockets and making the game messy. He's very experienced at winning trophies earlier in his career so he doesn't get fazed by the finish line. Gerard McGuigan started the season like a greyhound out of the trap winning his 1st 5 league games. He only won 2 and lost 3 of the remaining fixtures he played. McGuigan was one of the quickest players about. He's only down on the shot and he's away. McGuigan won't bother with hanging balls or playing tactics, he's no time for that as there's pints to be served. Gerard McGuigan is playing on his home table and he's a potting machine. Conor McQuaid will try to tie him up but you have to fancy McGuigan to get the job done 2-1. Micky Cunningham has been a bit part player for CWC A. He's still managed 5 games, winning only the 2. He is happy enough watching from the sidelines and wait for the call when needed. The big finishes from Cunningham aren't there but he can slow opposition players down and get the wins. Mark Pentony started the season well with 3 wins from the 1st 4 games. He followed that with 6 defeats from the next 7. Too many of his missed pots are getting punished in the Premier Division. 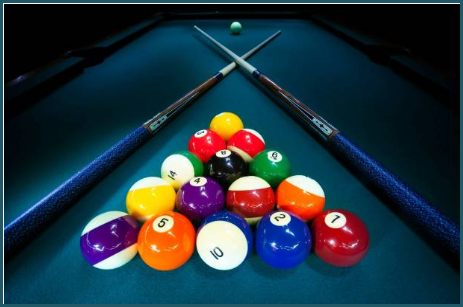 Pentony likes to play attacking pool but it is more suited to Division 1. There should be plenty of chances for both players in this match but Micky Cunningham should take this possibly on a decider. Charlie is playing a lot more pool than this time last year. He has 3 wins and 5 defeats from the 9 cards we have. He didn't play against Windmill. Doherty is another of the older generation that loved to roll up to a ball for a snooker and the potting game is hard for him to get used to. Cathal McCoy jumped ship from Trainor's A and opted for more pool instead of the possibility of trophies. Cathal McCoy played a meagre 6 games for league leaders Trainor's A. He won 4 and lost 2 which isn't bad by anyone's book. One of the defeats was against current champions CWC so we could forgive him for that. McCoy is a very smart player. He knows all the correct shots even if he can't execute them. To be fair to McCoy he can take out a tricky finish and never gives up a frame easy. Cathal McCoy should be fine here 2-0. Seamus Keenan fondly known as 'The Snail' is has flashed in 7 wins in a tremendous 1st half of the season for him. He's had only defeats and missed a game. Keenan does like to take his time on a shot. Opponents have been known to fall asleep on his visit. The reality is Keenan is a fine finisher of a game. He known the shots and the angles. Liam Turley is the polar opposite to Seamus Keenan. He is simply a flying machine. He whizzes round the table 100mph but unfortunately for him it hasn't resulted in too many wins. He's lost his last 4 before the the break and has lost a total of 8. He has won 1 game - that was in Whitecross. Seamus Keenan knows how to get the job done and Turley is perfect for him. Show the fly to the spider - 2-0 Keenan. Brian McGeough had a good strong start to the season. We are missing to cards but he definitely picked up 4 wins from his 1st 5 or 6 games. He lost a few after that but he has a minimum of 5 wins. He was one of the very few that got wins against both league leaders Ballyholland and St. Monnina. McGeough knows how to lay a snooker but missed pots lately cost him a few more wins. Conor O'Hare has 6 wins and 2 defeats up to the half way mark. One of the defeats came against CWC so questions remain, can he live with the very best. He does pull out exquisite finishes but maybe like most players - he's just not quite as good as he thinks he is. His tactical play is nonexistent. Conor O'Hare is unlikely to be tested too much here and this has 2-0 written all over it. Mark Kids' biggest win of the season came against Tommy Mooney (Trainor's B) in their league meeting earlier in the season. His wins though have been in short supply. 3 is all we have cards for and at least 5 defeats. Kidd won't go gong ho for big finishes. He will try to frustrate opponents and cover pockets. Shane Phelan started the season with a break finish against the now league leaders Trainor's A. He went on to record 8 league wins in total with only 3 defeats. Phelan was our player of the season in 2017/18 after steering Whitecross away from relegation, winning the Pairs with Bro Cathal and having one of the best win percentages in the Premier Division. Phelan is taking out some stunning finishes this season. He has a good all round game. Now is his time to shine on the biggest stage. Garry Powell won 5 out of 6 games October/November. He lost his 1st 2 and his last 3 before the Festive break. Powell seems to be a confidence based player. When he's in a rut he struggles to get out of it. Powell is a very attacking player but his 6 defeats shows he's just not playing at his peak. Niall McVerry has a marvelous record of 8 wins and just 3 defeats. Only for losing the last game before the break he would have been joint top scorer in the Premier Division. McVerry never seems to produce his best in the individuals. He is a classy potter. His long range pots are up there with the best in Newry. Only Powell is struggling for form this could have been a tough call but he's down on his luck while McVerry is on cloud 9. McVerry should feature in our round 2 blog after a 2-0 win. Martin Conroy has only lost 2 games all season and won 7 before the break. He has notched wins against both Trainor's and CWC A. His last defeat was way back at the 5th league game of the season. Conroy is blitzing opponents with some stunning finishes. He's now playing County pool and it's time for Conroy to show he can mix it with the elite in Newry pool. Kevin Crilly has 6 defeats from the 8 scorecards. Just 2 wins, OK if we're being generous it could be 4 but that's unlikely to be honest. Looks like Crilly is out of his depth in Division 1 or else he's the unluckiest player in Division 1. Adam Carroll has been steady for the most part of the season. He had a good run in October winning a few in a row. He has won about 60% of his games and his best win was against league leaders Nifty Fifty. Carroll can mix it up with potting and safety. He will relish this tie. Damien Kearney will feel hard done by after featuring in only 6 of Trainor's 11 fixtures. He lost 3 in a row early in the season and those defeats sealed his feat with captain Niall McVerry. He still has 3 wins and a total of 3 defeats. Kearney has very little safety game. He is a pure potter and he's not bad at it. Kearney is no pushover for anybody if he's on form. Adam Carroll should not be written off. He is a dangerous Division 2 opponent. Kearney can play classy pool and if he's not at his best he will lose. We go with 2-1 Dee Kearney. Shane McVerry is holding his own this season for Bosco B. He like a lot of his team mates need to improve if they are to get promoted. He's won around 50% of his games which isn't bad if you have 3 or 4 team mates winning about 60-70% of their games, which Bosco B don't have. McVerry can play a bit but needs to work seriously on some tactical play. It's not all about potting - unless your very good it! Declan Brady won his last 3 league games before the break. He sandwiched a missed game (3rd last game) so it could have been 4. We only have defeats of 2 out of their 8 scorecards with 5 wins. Brady is in form and playing well so he should be looking forward to the individuals. Declan Brady look with winner here. 2-1. John Magee is enjoying a phenomenal season. We've only a scorecard for 1 defeat and strangely enough it was the final game before the break. He has won at least 7 games - possibly more. Magee is deadly in among the balls but really it's his knowledge of the game that's his strong point. He always plays the right shot at the right time. Ben McClorey has won about 50% of his games for Bosco B. He's won his last couple before the break. He's recovered well after a poor start to the season. McClorey has played some terrible shots of the season but he's improving week by week so we're expecting a good 2019 from him. This is a big in house Derby game so that always adds an interesting twist to a match. John Magee is still too good and he won't get fazed so 2-0 Magee. Gerard McAvoy has a very similar record to team mate Colm Shields. Like Shields he has 6 wins but he has played one game less as he missed the last game before the break. McAvoy likes to cover pockets and loves a good tactical scrap. He took a frame to a re-spot against Johnny Murphy's and won it using these tactics. Michael Teggart lost his last 2 going into the break but he was on a good run of 3 wins before that. Teggart has a total of 5 wins and 4 defeats from the 9 cards we have. Teggart is inconsistent. One week he will show flashes of brilliance and he couldn't miss a ball and the next week he plays like he's wearing a blindfold. Either player could win this easy. They have similar records. Both play for teams top of the league. Teggart lost his game v Ballyholland while McAvoy won his game. If Teggart hits form it's there for him. Possibly over 3 frames the quality of Teggart could shine through 2-1. Mickey Lennon has only played 6 Premier Division games so far. To be fair he has a 50% win rate. That's a lot better than some of his team mates. Lennon is a good long potter but he loves a snooker then goes for the kill. Raymond Magee 3 struggled to just 3 wins this season. He went 4 games beaten before sitting out and finally on the last night before the break he won against McGuigan's. His 7 defeats will haunt him as Hustlers could be 4 or 5 points better off. Magee does like to play attacking pool but just too many missed chances is costing him dearly. Tough game to call this. Ray Magee is struggling in the Premier while Mickey Lennon has hardly played. Toss a coin. Its heads. Ray Magee 2-1. Paul Murphy hadn't won a game since the 1st round of fixtures at the Christmas break. That was against Whitecross and he's only mustered 2 wins before that. 6 defeats and a couple of nights on the subs bench is relegation stats. Murphy is too good for that. He is a quality player usually, taking out some fine finishes. He can take a while to warm into a game. Richard Fletcher has been rolling back the years with No 7 Duke Street this season. We are missing a couple of cards from the start of the season but Fletcher has been in hot form going into the Christmas break. He won 4 of the last 5 games and won a couple before a rare defeat. He had a big win against promotion rivals St. Monnina A but lost against Ballyholland. Fletcher is a mine of knowledge. A great tactical player but also makes tricky finishes look easy. This is one of the hardest games to call. Fletcher is making Division 1 look relatively easy while Murphy isn't catching the eye in the Premier. We will go with the form player Richard Fletcher in a titanic battle 2-1. The Vegas Cup was whittled down to the last 8 on Thursday night. Three Premier Division teams left the 'Party' while Premier Division leaders Trainor's A and current champions CWC A booked their place in the next round but not without their drama's. Bar. 7 Duke Street Warrenpoint stunned Premier Division side McGuigan's with a comprehensive victory in Newry. Bar 7 are in a decent position aiming for promotion from Division 1 up to the glorious pastures of the Premier Division. This Bar 7 team is mostly made up from former Boyds players that slid from the top tier to the bottom in a matter of years but these lads are on the climb again. Gerard McGuigan and Nicky Langton put McGuigan's 1 up as the favourites looked to stamp their authority on the game. Kevin and JP Lennon squared things before Kris and Richard Fletcher fired the visitors 2-1 up. Shane Cunningham beat Damien Flanagan for 3-1 and from that moment Bar 7 realised they had a real chance. Conor O'Hare got lucky to beat Chris O'Hare to make it 3-2. The biggest result was the next one. The sensational Martin Conroy was beaten by Kevin Lennon in a massive shock. It was a severe kick to the sensitive area for McGuigan's. Pat Byrne is an unbelievably attacking player and can beat anyone if his luck is in but Kris Fletcher is a bit more patient and it was Fletcher that fired his Bar 7 into the last 8 with a score of 5-2. Mike McArdle reduced the margin to 5-3 by beating Jeremy O'Brien but it was Bar 7 that rubbed salt in the wounds by taking the final frame. Richard Fletcher was in backstroke mode when he beat Paul McAreavey for a satisfying 6-3 win. Ballyholland caused somewhat of a shock when they dumped Nan's Rams from the Vegas Cup. Some would say this was no shock as they are odds on to swap Divisions. Mark Maguire and Rony O'Reilly had the hosts Nan's 1 up but Ballyholland led 2-1 by the end Pairs. Robbie White returned with another sharp shooter Niall McQuillan to level and Jim McMahon with captain Brendan Keenan put Ballyholland 2-1 up. Mark Pentony levelled for 2-2 and it was game on. Robbie White was the toast of Ballyholland as the teacher made it 3-2 Ballyholland but yet again it was all square when Nan's legend Mal Maguire continued his return to form for 3-3. Pat McClenaghan hadn't won a league game in his last 6 attempts but he did bag a Vegas Cup win to put Nan's one win from the last 8. 4-3 Nan's. This post Christmas cracker just had to go to the wire and the superb Niall McQuillan got his 2nf of the night to level at 4-4. Andrew Chan would take on Ballyholland skipper Brendan Keenan for a place in the last 8. No pressure then! Chan is on a 4 match (league) losing streak and had earlier lost his Pairs game. Brendan Keenan had lost a pressure final frame against Ollie White when the Division 1 league leaders fell to Forester's A 5-3 in the final league game before the break. Keenan did win his Pairs match earlier in the night so he had reason to feel confident. It was the grinder Keenan that produced the goods as he out-foxed the free potting Chan and it was Ballyholland that matched on to the last 8 as Nan's miserable season continued. Whitecross got trounced when Hustlers headed out to the Countryside in this very one sided contest. Hustlers had the perfect start by taking all 3 Pairs matches. Ciaran and Billy O'Neill, Barry Murphy and Joey Magill then Kevin Magee and Shane McAllister had the Bellinis side cruising. Alan Burke got Whitecross back into the tie when he took the opening Singles tie but Hustlers where in no mood to roll over. Shane McAllister made it 4-1 and Ciaran O'Neill wrapped the match with little fuss 5-1. Barry Murphy is having a very good season and the underrated Murph made it 6-1. Billy O'Neill had the score 7-1 before man of the moment and the Hustlers Hall of Famer Kevin Magee finished the route 8-1. While Trainor's weren't pushed to the limit they didn't get everything their own way against high flying St. Monnina A.
St. Monnina A are joint top of Division 1 but the arrived in Trainor's without their talisman, former overall individuals winner Stephen Teggart. Trainor's got off to a super start taking a 2-0 lead in the Pairs but the Saints stunned Trainor's when Conor McQuiad and Paddy Hughes grinded out a win over natural potters Sean Murray and Eddie McCaughey to make it 2-1. Paddy Tavey and Liam Bradley then Jimmy and Seamus McVerry had taken the 1st wins of the night. Captain fantastic Niall McVerry then Eddie McCaughey put Trainor's on the hill as they cruised to a 4-1 advantage. If Trainor's thought it was going to be all plain sailing they were wrong. The wind was changing and Michael Teggart did Dee Kearney's Trainor's career no favours when he beat the aforementioned Kearney to make it 4-2. Premier Division leaders Trainor's were getting twitchy when St. Monnina captain Conor McQuiad beat the out of sorts James O'Hagan and now it was 4-3. Game on. Andrew Mackin is a good steady player but he was never going to trouble the rock solid Paddy Tavey. Tavey is up there with the best when he's on form and even his B game is too much for most. Tavey sealed Trainor's last 8 spot comfortably. Paddy Hughes beat Seamus McVerry to finish the scoring at a tight looking 5-4. Gary Gibney and Collie McCann beat Kieran McMahon and Terry McNally to give Millvale the lead against quadruple holders CWC A.
Millvale were in dreamland when Benny Hoey and the sparkling Ryan Diamond made it 2-0 when they outplayed Bernie Magee and Pat Brady. Raymond McKenna and Harvey Lavelle eased the CWC pressure by taking last of the Pairs against Dean Fallon and Willie Hughes. The singles games crushed Millvale as Kieran McMahon, Harvey Lavelle, Pat Brady and Raymond McKenna raced to the tape for 5-2. Terry McNally and Bernie Magee made it 7-2. Colly McCann, Gary Gibney, Benny Hoey, Dean Fallon, Willie Hughes and Martin McGoldrick did themselves proud in the singles but fell short. How Ryan Diamond didn't play in the singles is one of life's Little mysteries but that's neither here nor there. Bosco battered McSwiggans 7-2 as they strolled into the last 8. Caolan Murphy and Ryan Lennon have McSwiggans a surprise lead but it was 2-1 by the end of the Pairs to Bosco. Eamon Hurley, Robbie Devlin, Ryan Devlin, Sean McCaul and Gary Wilson fired Bosco 7-1 up. McSwiggans got a consolation final frame of the night win from Gary Clarke. Johnny Murphy's gave Orchard Bar a good game out in the Orchard. Marty White and Darren O'Hanlon pulled a frame back for Murphy's when they trailed 2-0 in the Pairs. Jamie Fletcher and Mervyn Kernaghan then made it 4-1 and the South Armagh side looked down and out. Darren O'Hanlon and Kevin Crilly breathed new life into the contest to make it 4-3. Liam Turley made sure it wouldn't go to a decider when he beat John Daly for 5-3. Pat Quinn has been quite unbelievable this season but he won't be too worried that the so far unbeaten David Cromie extended his run to make it 6-3 Orchard. Bears progressed 6-2 against Dan's Rebels despite going 1 down. Raymond Flynn made in 1-0 to the hosting Dan's but then Bears kicked into gear. Eugene McDermott, Ralph Crummy and Paul Murphy took the next 3 singles games after Bears led the Pairs 2-1. That was enough for 5-1 and Bears were in the last 8. 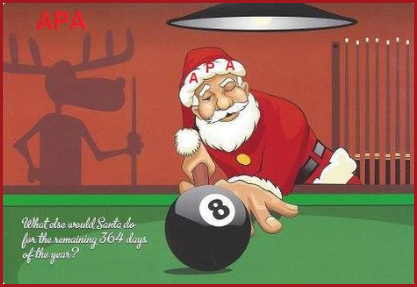 Happy Christmas to all our Newry and District Pool League members and friends, both locally and afar. Its a time of the year for chilling out and relaxing if at all possible but we in the blog endeavour to give you something beautiful to read during the festive period. In this blog we are going to take a look at our Christmas Crackers. The Star's on top of our festive tree. A wee look at our Christmas number 1's. Yes it's that time of the year to look at our top marksmen. Who is the top scorer in the Premier Division? The elite players around Newry and South Armagh will be revealed. Most of the big hitters are on the list and of course, just like a really good cracker, there are some nice surprises too. 9 wins/2 defeats. He destroyed the field last year and he leads the way this season. He is joined by two other players but small details makes 'Big Pat' our Christmas no. 1. Brady won his 1st match with a Break and Dish. He lost his 1st game 3 matches in, then lost his next before going on a 7 streak winning run. Brady isn't getting things all his own way this season but he is still top of our Christmas tree. His ability to always play the correct shot means opponents never get an easy chance handed to them. Brady will always be one of the most feared opponents in Newry Pool. 9 wins/2 defeats. Surprise package Michael Feenan is like a new player for Whitecross this season. He has one break finish this season so far. He lost his opening game before winning 5 in a row. A defeat against the Orchard Bar was followed by 4 more wins. Feenan is up there with the elite players in the Premier Division. The big question is can he stay? His stunning long potting ability catches the eye but the big difference for the 'Tornado' is his calmness on the black ball which was always his Achilles heel. 9 wins/2 defeats. Kieran McMahon is always there or thereabouts when it comes to our top scoring charts. The snooker ace is the master of consistency. He has an almost identical record to Feenan with 1 break finish which occurred in his opening game of the season. He followed that with 8 wins. 2 defeats in a row stopped him in his tracks but the 'Machine' won his last game to join the leader board. McMahon only got pipped for 2nd place as it was Feenan who inflicted him with his 1st defeat. McMahon has surgical precision when in amongst the balls and is one of the finest positional players in our local game. 8 wins/2 defeats. Paddy Clarke is widely regarded as the most talented player in the Newry and District Pool League. Clarke won his 1st 2 before missing the defeat to Bears. He returned with a defeat against Trainor's. He sandwiched a win in between his 2nf loss of the season. 5 wins on the spin including a break and dish puts him joint 4th in our top scorer list. 8 wins/2 defeats. Seamus McVerry missed Trainor's opening game of the season but won his next 3 before tasting his 1st defeat. He won his next 5 before a defeat in his final game against CWC A kept him out of the top 3. We only separated McVerry from Paddy Clarke because the latter had a break finish. 8 Wins/3 defeats. Shane Phelan is our current player of the year and is holder of the Pairs title with brother Cathal. He started his league campaign with a break finish which gives him the edge over the other players on 8 wins. He followed that with defeat against CWC but 5 wins in a row fired him up the scoring charts. He finished the last 4 games winning half of them finishing the half term with a win. 8 wins/3 defeats. Tony McGovern got off to a sensational start to the season by winning his 1st 7 league games. The Orchard star has seen the wheels fall off a bit when he lost 3 of his last 4 games which will dissapoint him. 8 wins/3 defeats. Paddy Tavey has adapted to life out in the South Armagh Pub Trainor's like a Duck to water. Tavey lost his opening game and only won 2 from his 1st 4. 6 wins in a row put him in contention to join the very top of our winners charts but defeat in his final game (which was against his old side CWC) dropped Tavey down the pecking order. 8 wins/3 defeats. Niall McVerry has been ruthless in his quest for trophies this season as the Trainor's captain. On the baize he won 4 out his 1st 5 games. He then won 4 of his next 5 and lost his final game before the break for a very decent 1st half of the season. 7 wins/2 defeats. Harvey Lavelle got off to the worst possible start losing his opening 2 games before missing the defeat to Bears. Lavelle won his next 6 in a row. He missed the return leg against Bears but ended the 1st half of the season with a win against title contenders Trainor's. 7 wins/2 defeats. Martin Conroy is the reason McGuigan's holding their own this season with a virtuoso performance so far. He lost his opening game 6 wins out of his next 7 put Conroy right up the leader board but he messed 2 games and a row and then won his last game to finish with an excellent 7 wins from 9 games played. 7 wins/3 defeats. Seamus Keenan is a surprise package to make our top scorers. The 'snail' has grinded out a string of big wins including 2 victories against CWC. Keenan won his 1st 3 games before his 1st defeat. He won 2 of his next 3 games before missing the game against bottom side Nan's. His 3rd defeat was followed by 2 wins from his final 2 games to deservedly make it onto our top scorers chart. 7 wins/3 defeats. Jamie Fletcher has been a breath of fresh for Orchard Bar. His youthful enthusiasm has benefitted the team no doubt about that. Fletcher didn't play in the opening match for Orchard. His 1st game was a win then he received his 1st defeat. 6 wins on the trot propelled Fletcher into contention for top spot but he lost his final 2 games to slip down the table. 6 wins/0 defeats. Yes it's not a misprint. David Cromie has yet to get that losing feeling in the 2018/19 league campaign. If only Orchard Bar could get him there every game they might be clear in 3rd place. He started with a win, missed game 2, won week 3, missed 2 in a row, won 2 in a row, missed the next before ending with a win. He played 1 game against the top 2 which was a victory against table topping Trainor's Bar. Terrific start for Cromie. Forester's A smashed the Division 1 title race wide open again after shocking league leaders Ballyholland. John Magee captained his Forester's side to a 3-0 lead and needed the final frame for a stunning 5-3 win at the City venue. Unfortunately for Kieran Loughran, Hugh McGrath and the rest of the boys John Magee didn't bother putting full names on the score sheet so they can't get the write-up they deserve. Stevie Teggart is the obvious jewel in the St. Monnina A crown but they have many diamonds in their ranks as the surged to the top of Division 1 on frame difference. Tom McGuinness, Paddy McCann and Paddy Hughes are a wealth of experience that only Mastercard could buy. (other credit cards are available ). The gulf in class between top and bottom hasn't in this Division hasn't always been apparent thanks to a plethora of surprise results but St. Monnina whopped bottom club Glen Social Club. Declan Brady, Stephen Teggart and Stephen Cunningham got the South Armagh cueiests into a 3-0 lead when they beat Paddy Morgan, Jay Kelly and Caolan Lonergan. Kevin Sands got the better of Michael Teggart to give the South Down side hope of an unlikely comeback. Tom McGuinness is an experienced top player and has more than his share of talent and bottle. He beat Raymond Sands who himself has no shortage of experience. 4-1 Saints. Paddy McCann is a class act once he hits form and he had little problems in sewing up both points for 5-1. He beat Pat Rice comfortably. Brian Harte made it 6-1 by beating Ben Mackin before top potter Paddy Hughes rounded off a terrific team performance by beating Mark Kidd and made the scoreline a thumping 7-1. 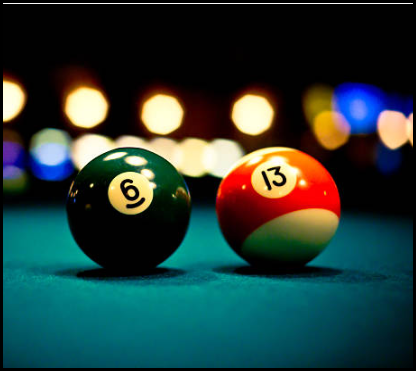 Division 1 of the Newry and District Pool League has no teams from Newry in the top 4 in the current league standings. St. Monnina A and Ballyholland are joint top with 13 points and only 1 point behind them is Johnny Murphy's and Bar 7 Duke Street Warrenpoint, both on 12 points. Murphy's have a tight solid looking squad and consistency will be key to honours this season. CWC B on the other hand have struggled since their promotion from Division 1 last season. Just two wins and two draws sees CWC B in the relegation zone and will need drastic improvement to avoid a return ticket back to Division 2. Marty White is a reliable potter for Murphy's and he put the home side 1 up. The Brilliant Tommy Rooney and the exciting potting machine Chris Cunningham fired the City side into a surprise 2-1 lead but they couldn't build on it. Anthony Reynolds and the superb Darren O'Hanlon reversed the 1 frame lead for Johnny Murphy's who now led 3-2. The legendry former committee member Pat Quinn beat Kieran Cunningham to make sure the South Armagh side would get at least a draw from the night. 4-2. Calium McParland is improving all the time and he grinded out a win over the stubborn Kieran Larkin and now CWC B could dream of salvaging a draw. Oliver Lonergan was the hero for Johnny Murphy's when claimed the win and the 2 points. No. 7 in Warrenpoint kept pace with the Division 1 leaders with a good win over a dangerous Bosco team. Darren Devlin gave the visitors the lead when he beat No. 7 proprietor Kris Fletcher. Marty Bolton and Richard Fletcher and the former Boyds team mates 2-1 up before Robert Devlin levelled at the halfway mark for Bosco. Kevin Lennon and Shane Cunningham took the next two for No. 7 and the Point side were 4-2 up and had all the momentum. That carried into the penultimate frame when Chris O'Hare wasted no time in wrapping the 2 points. Ciaran Morgan is a top player and it was a bit of a surprise for Bosco to play such a talented player last. He won the final frame of the night to finish the scoring at 5-3. Windmill, Bosco and Cavern are in a bunch sitting in behind the leaders and could mount a challenge. They are just 3 points away from top spot. Cavern only got promoted from Division 2 last and will be delighted with their progress but they look the least likely of that group to push on for the title. Trainor's B and Forester's A sit 1 point further back on 9 points. Although only 4 points away from the top they will be looking at results below them more than above them. CWC B and Glen are on 6 points and joint bottom. CWC B look best equipped to drag themselves away from the relegation zone with a lot of the players having played in the top tier a number of years ago. Glen look snookered to be fair. They lost a few of their best players before the season started. It's a tricky visit though for any team so winning their home games will be vital to any hopes of retaining their Division 1 status. This wasn't just a Christmas stuffing. This wasn't a turkey roasting. This was a brutal slaying. There's putting down a marker and then there's a Pre-Christmas massacre. CWC A trailed league leaders Trainor's A by 3 points going into this crucial encounter. The current Champions have looked vulnerable this season, while the pretenders to the crown look irresistible. Last week CWC needed to win the final 3 frames to scrape over the line 5-3 against the Bears that beat them earlier in the season. Trainor's had no such drama when they hammered Orchard Bar 8-0 in their last outing. This game was set up beautifully. A win for Trainor's would put them 5 clear and one hand on their 1st ever top flight trophy. A win for CWC would smash the title race wide open. Seamus McGeoghegan got the nod to lead the line for CWC in a massive shake up in formation from captain Pat Brady. McGeoghegan is having a poor season and while his Trainor's opponent Eddie McCaughey has missed large parts of the season, his potential is clear. He is a deadly potter it wasn't a huge surprise McCaughey took the opener for his 4th league win. It's one Brady most likely decided to take on the chin and move on from a 0-1 deficit. Well if the bear was sleeping Trainor's well and truly poked it. Trainor's captain Niall McVerry looked set to fire his South Armagh side 2-0 up but he inexplicably missed a routine black after potting 7 reds. It was the whack that woke the bear as the slick Paddy Clarke cleared sensationally to level the match. Clarke just oozes class and with the table at his mercy he has no equal in the Newry And District Pool League. Clarke notched his 8th win from 10 played. Kieran McMahon was given a scare by former team mate Paddy Tavey but the CWC machine marched on for 2-1 and Trainor's looked shell shock as cracks in their title bid began to appear. McMahon now has 9 wins from 11. Super potter Seamus Murray lost to the blogs biggest No1 fan Terry McNally for 3-1. The legendry Harvey Lavelle former individuals champion James O'Hagan was the deal breaker. Trainor's needed a win from one of their star players to stem the tide. Lavelle was absolutley brilliant taking out a stunning finish as O'Hagan crumbled and it was 4-1. Lavelle improved his personal tally to 7 from 9. It was O'Hagan's 4th defeat in 5 games and surely questions will be asked about Captain Niall McVerry's selection process. Pat Brady has masterminded success in the local pool scene which cannot be equalled. He's dominated Newry pool for nearly two decades. He's mopped up everything there was on offer in South Armagh pool and he's now collecting trophies regularly in the Dundalk league. If you were getting paid to polish Pat Brady's trophies you would certainly earn your money. His Trainor's opponent Jimmy McVerry was always a shot away from a catastrophe and when he potted the white 'Big Pat' cruised to the winning post for 5-1. Brady has won his last 7 in a row and has 9 from 11. Niall McVerry took a massive gamble playing two of his best players as his last two on the card. If he or Paddy Tavey had won then it might have been a masterstroke but the fact remains it didn't work and two of his reliable foot soldiers were only introduced when the war was over. Raymond McKenna was still too good in the dead rubber game with former individual winner McVerry. 6-1 down and Liam Bradley gets the nod. He's been in superb form this season. With only 1 defeat and 6 victories Bradley was hot favourite. Bernie Magee has been pretty awful and I'm sure he'll be the 1st to admit that himself. Losing 3 of his last 4 and losing 5 before Thursday night is not great for winning trophies. Bradley finally ended the rot and got another frame on the board for Trainors. It was too little, too late for Trainors. CWC had shown their class and ripped Trainor's apart winning 6 frames on the spin. Can Trainor's recover from this hammer blow? There is the massive 'elephant in the room' about Niall McVerry's team selections. There's more than Dee Kearney unhappy with the way the team is being picked. Can McVerry hold his team together? Maybe the Christmas break has at the perfect time. They can reflect on a good 1st half of the season and come back refreshed and ready to challenge for the title. CWC A are still a point behind Trainor's but what a result that was for the City side. 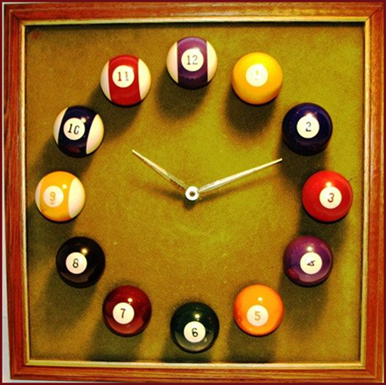 They will be one team itching to get back on the baize after the festive break. What a 2019 we have to look forward to! Bears remain the only team to beat last seasons quadruple winners CWC A but have struggled for wins ever since. Orchard Bar travelled into Town fully expecting to export 2 points back out the Rathfriland Road and make sure of their 3rd place in the league. They got the shock of their lives when they got slapped from pillar to post by a Bears side that at long last showed their bite in the Premier Division again. Neil Heaney and Diamuird Lonergan struck to put Bears 2-0 up. They very impressive Jamie Fletcher and sharp shooter Gerard Bagnall losing out for Orchard. It was an inexperienced front two for Orchard but their steady heads were soon to visit the table. Darren Devlin has been there and done it and he pulled it back to 2-1 when he beat Garry Powell for his 5th win in 7 games. Tony McGovern has been in amazing form this season since ditching the hanger on McGuinness with 8 wins. But he met Eugene McDermott in inspirational mood and it was the Bears old head that won to make it 3-1. Seamus Keenan and Liam Turley could hardly differ in styles. The 'Snail' Keenan is a master at slowing the game down and grinding opponents to a pulp. 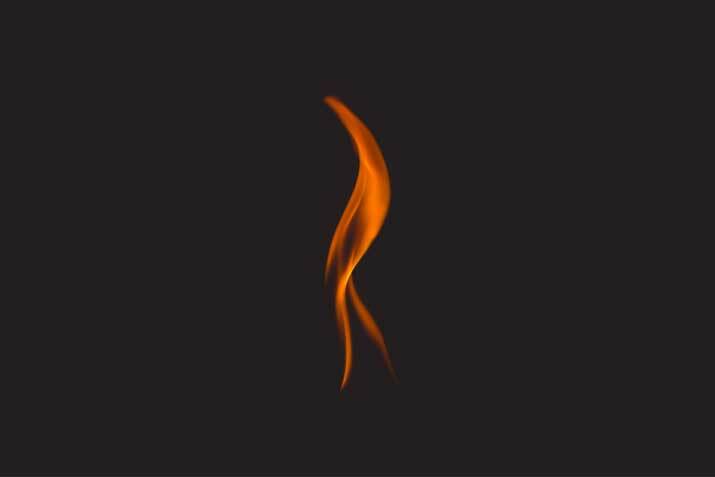 Turley is a fire cracker whizzing in shots from everywhere and anywhere. He is exciting to watch but exciting doesn't always get the job done and it was Keenan that made it 4-1 Bears. It was only Turley's 8th defeat in 9 games so it could be worse! Orchard were down and soon to be out. Ralph Crummy is one of the most likeable players on the local pool circuit but he's ruthless on the baize when he's on form. Brendan Devlin is a fine player in his own right but it just wasn't their night as Crummy took the points for 5-1. Eddie Heaney took his foot off the gas and let David Cromie put some respectability on the scoreline for 5-2. Incredibly Cromie has won all 6 league games he's played. Adrian Holman probably was thinking he would be tucked up in his bed in about 20mins time when Mervyn Kernaghan pipped him to finish the scoring 5-3 Bears. Kernaghan has won 3 of his last 4 and back to form after a dreadful start to the season for him. Hustlers took the final two frames of the night to salvage a hard earned draw against McGuigan's Bar. Billy O'Neill and Kevin Magee had the home side Hustlers 2-0 up before McGuigan's hit 4 on the spin. The superb Martin Conroy, John Hogan, Pat Byrne and Damien Flanagan enjoyed success and McGuigan's looked favourite for the points at 4-2. Ray Magee pulled it back to 4-3 and Barry Murphy would play Paul McAreavey for the points. Both are good solid players with similar styles. Both decent potters when on form but lack of practice leaves both players prone to silly mistakes. Murphy is enjoying the better season and got another pressure frame winner on Thursday night for an exciting draw. The result does little to ease either sides relegation fears but it's all to play for when we return in the new year. Talking of relegation Nan's Rams will be wondering how they are still only on 2 points for their half-season's work. They have some real quality players and if they get a bit of luck in the new year they can close the gap at the bottom. Another 5-3 defeat this time against Whitecross means they are the only side yet to pick up a league victory in all 3 Divisions. Michael Feenan picked up his 9th win from 11 games and captain Shane Phelan chipped in with his 8th to put Whitecross 2 nil up. Stephen Sherry made it 2-1 before the reliable Alan Burke put 2 between the sides for the 2nd time at 3-1. Mickey O'Hanlon picked up his 1st win in 5 attempts to double his tally for the season and it was 4-1. Leigh McAlinden is having a tough season but his 2nd win in his last 2 games could be a turning point for him and it was 4-2. Whitecross could have been getting nervous but there's no player Whitecross would rather have playing for their points than Cathal Phelan. He's suffering his worst season since he lifted a cue but his 4th win of the season sealed the points for 5-2. Mal Maguire has been having a nightmare season but his win at the end made it 5-3 and gives him hope going into the new year. Price (Newry) Pat, died December 11th 2018. Loving husband of Lily and devoted father of Colm, Jill, Cathy, Brian, Patrick, Aine and the late Tom R.I.P. Pat’s remains will repose at his late residence, 48 Hollywood Grove, from 6pm, on Thursday. Requiem Mass in the Tridentine rite will be celebrated for Pat on Saturday at 12noon in St Mary’s Church, Chapel Street, committal afterwards in the adjoining cemetery. Deeply regretted and sadly missed by his wife, sons, daughters, grandchildren, sisters and the entire family circle.